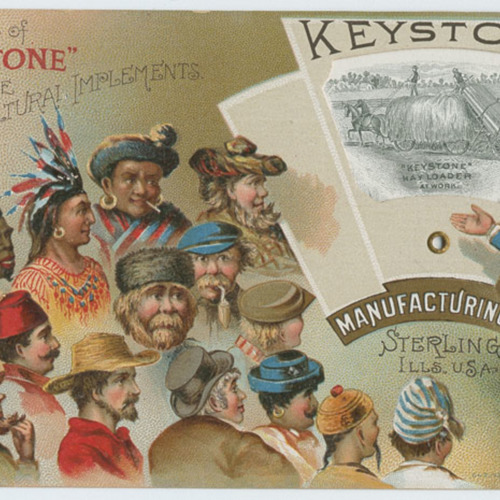 Uncle Sam presenting Keystone Hayloader to men representing different racial and ethnic groups of the world. NMAH Archives Center Ethnic Imagery Project Warshaw Collection of Business Americana 0060 Agriculture Box 8 Folder: Keystone Mfg. 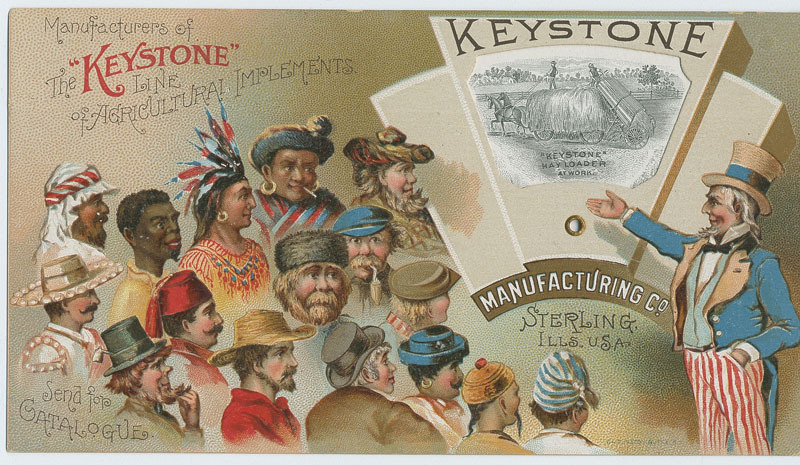 Co. Mutli-Ethnic Group Representation with "Uncle Sam"
“Keystone Hayloader,” Race & Ethnicity in Advertising | America in the 20th Century, accessed April 24, 2019, https://raceandethnicity.org/items/show/1240.